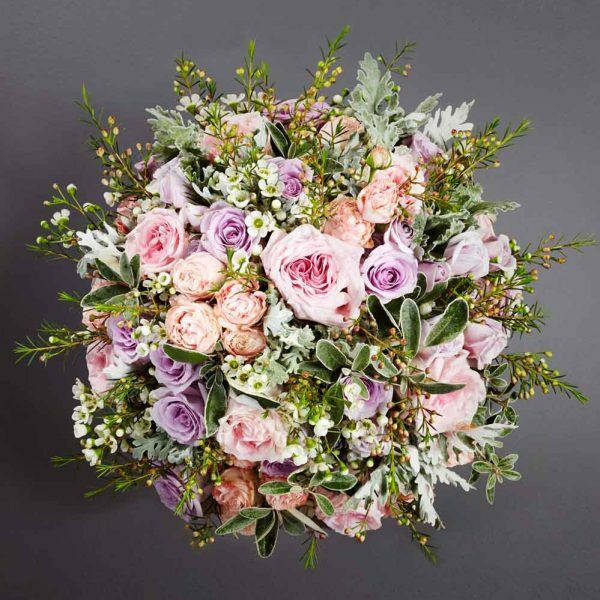 Inspired by the gardens of Oxfordshire, this fabulously abundant hand tied bouquet is crafted in true Larry Walshe style and features fragrant garden roses and spray roses in soft, pastel tones along with miniature wax flowers and silver foliages. A minimum of 50 flower stems will feature in this luxury online bouquet. 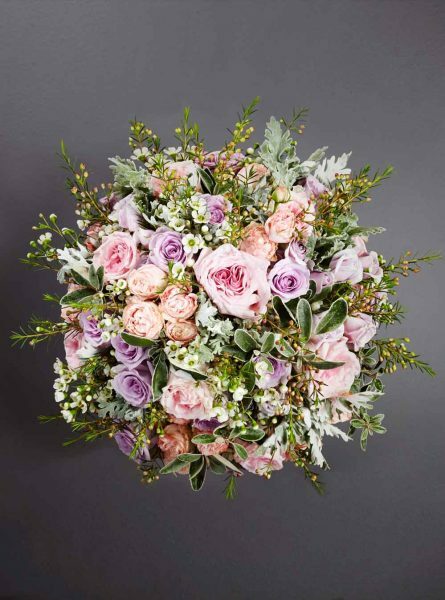 Thoughtfully designed and beautifully created, each of our luxury bouquets are hand tied by our team of skilled florists with our signature ribbon and presented in our elegant white signature box along with handfuls of tissue paper and chic protective cellophane. Care instructions and a hand written notecard are included with every order and a personalised message can be added during the checkout process. All our flowers are sent in water or aqua gel to keep them perfectly hydrated.